5 DIY Wedding Favor Ideas Your Guests Will Love! The practice of giving wedding favors to guests date back to 16th century England where it was reportedly common for newly married couples to give love knots made out of ribbon and lace to all their guests. The tradition has carried on throughout the years with the bride and groom placing trinkets signifying their love at the wedding guests’ reception place settings. These ‘trinkets’ have come in all sizes, themes, and various costs depending on the couple’s choice. Couples will often buy small ready made gifts for their guests but many times the bride will choose to show her creative side by wanting to make the wedding favors herself. It is not uncommon for the bride and her bridesmaids to plan an evening (or many) to work on their ‘Do-It-Yourself’ favors for all to admire and appreciate at the reception. Some DIY favors can be quite time consuming depending on how extravegant in detail and how many guests will be on the receiving end. Keeping these key features in mind might save you last minute anguish so it is smart to begin your projects early. Throughout my bridal show travels and attendance at various weddings over the years I have come across some great DIY Wedding Favor ideas and thought I’d share some of my favourites. 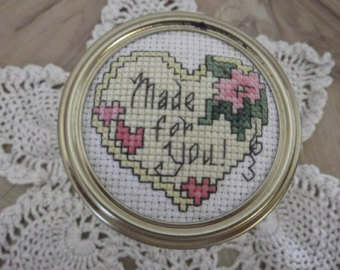 Mason Preserve Jars with DIY Cross Stitch Heart Top. Always a treat as a guest to receive a jar of preserves with a handcrafted topper! I have always appreciated receiving plant wedding favors. Pick a small plant/flower of your choice and wrap in burlap & lace as seen below or use fabric with the colours of your wedding. 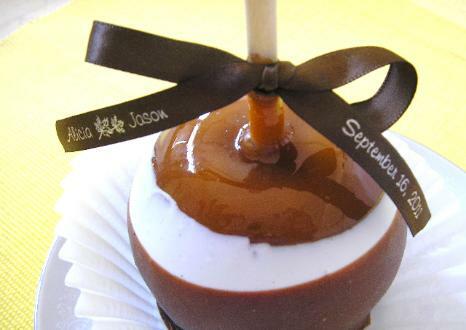 I remember receiving a caramel apple as a wedding favor as both the bride and groom were teachers. It was so cute and delicious! Red candy apples at table settings at black, white and red weddings look amazing! Cupcakes expertly decorated with details of flowers, hearts and lace will always ‘wow’ the guests! If you haven’t perfected your cake decorating skills, no worries! 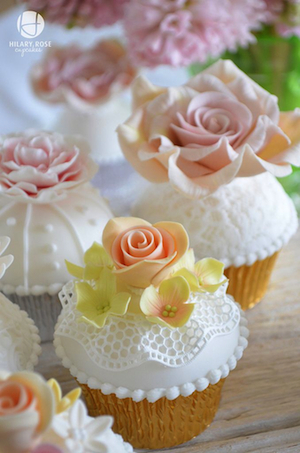 Purchase the cupcakes and add your personal touch by placing in a pretty tea cup on a paper lace doily. 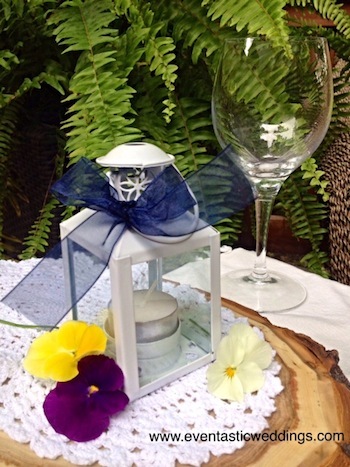 Recently I was taken by a couple’s wedding favor where they added a beautiful ribbon to a mini white lantern and inserted a battery-powered votive to be glowing throughout the reception at each place setting. What a beautiful overall look in the dimly lit room! I continue to use and admire it. There are so many options when considering having favors at your wedding. What you end up choosing will likely depend on how they will add to the overall look you are going for when guests enter the reception, cost, time required to have them ready, amount of assistance you will need and have, availability etc. We at Eventastic hope you enjoy your journey in choosing the favors best suited for you and your wedding. 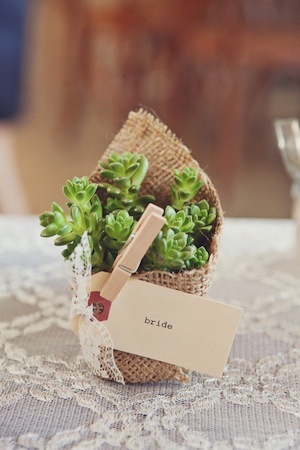 For more great wedding favor ideas check out our Wedding Favors Pinterest Board.